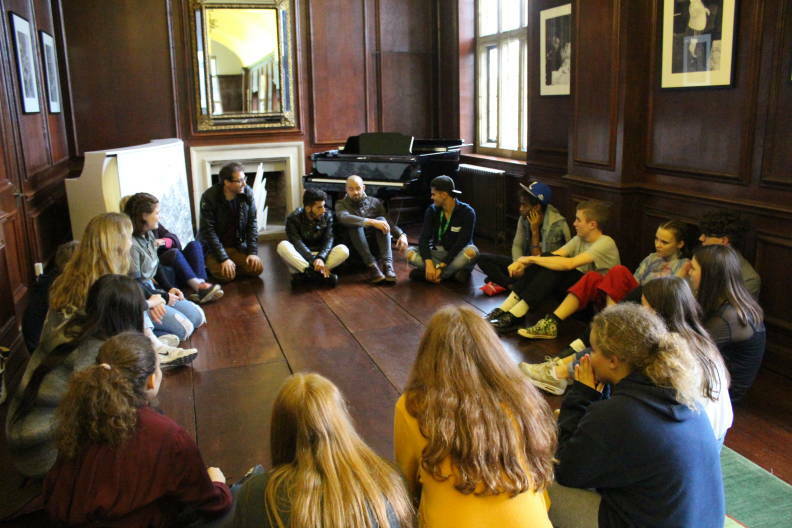 The cast and creative team of Belongings, our new youth opera, recently played host to a group of young refugees and asylum seekers from the YMCA Downslink Group. Belongings is a new commission from Lewis Murphy, Glyndebourne’s Young Composer-in-Residence, which tells the stories of young people forced to flee their homes by war. The opera explores themes of isolation, segregation, displacement and the search for a place to belong. 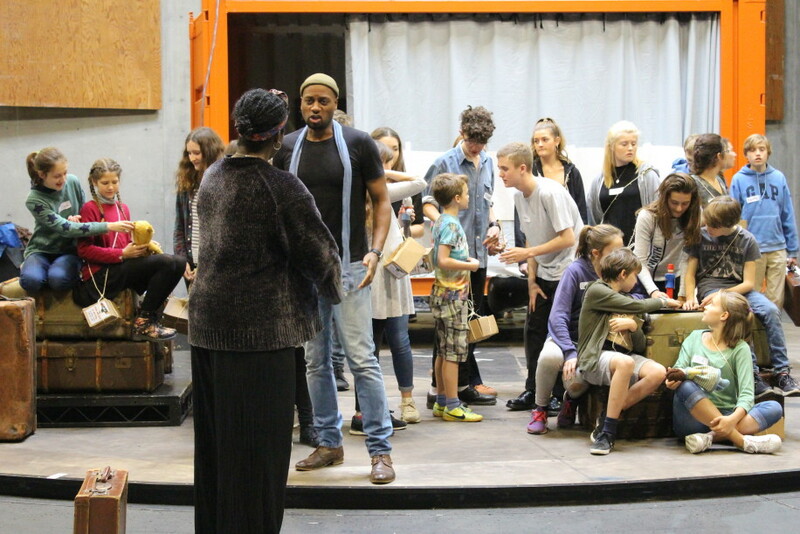 The visitors from YMCA Downslink Group had the chance to watch the rehearsals of Belongings, and to share their experiences with members of Glyndebourne Youth Opera (GYO). Zimnako, one of the young people visiting Glyndebourne, said ‘I felt like I was a prince in a castle… So many people made us feel so welcome. The rehearsal made me feel so many emotions and the set felt real at points from my memories. It was nice to share parts of my story with the director [Lucy Bradley]’. 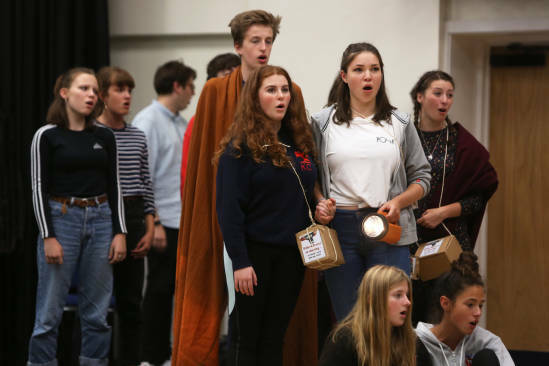 Belongings chorus member Gigi Casey, aged 14, noted ‘The group watched the piece from start to finish and they gave us some helpful suggestions about how to make it more realistic’. ‘This project has helped me to realise that a label, such as “refugee”, does not adequately define a person’ says Gigi, ‘Getting to know them and seeing that their personalities and interests are just like ours has helped me to understand that people like us are going through these experiences’. The development of Belongings, a work that puts young people and contemporary society at its heart, has been a collaborative process from the outset. Along the way, many partnerships with other organisations have been forged, notably with Crisis Classroom and Opera Circus. 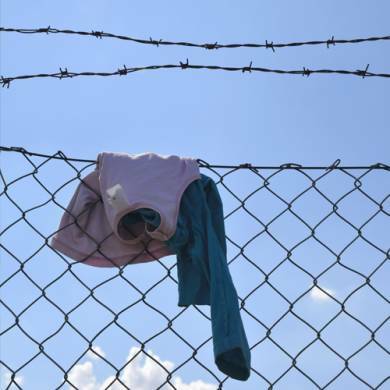 This article looks at the Belongings creative team’s visit to Sarteano, Italy, to work with refugees and migrants as part of Opera Circus’ The Complete Freedom of Truth project. The performance of Belongings on Saturday 11 November will be the culmination of months of dedicated research, thoughtfulness, empathy, advocacy and partnership. We are very grateful to have been able to share part of this process with some of the young people from the YMCA Downslink group. See our new youth opera at Glyndebourne on 11 November.